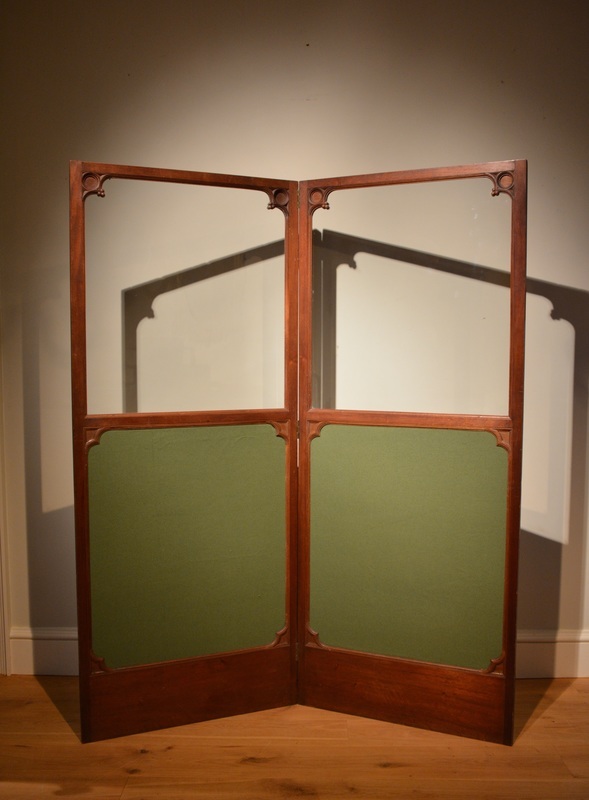 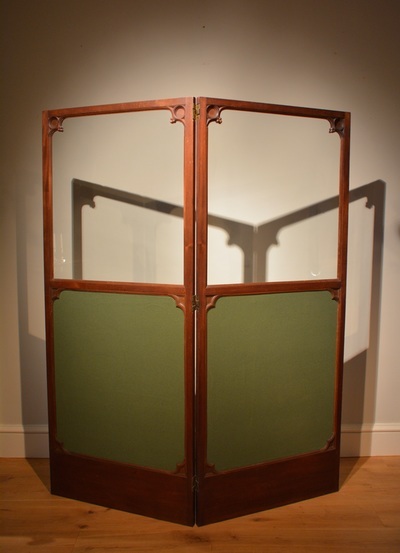 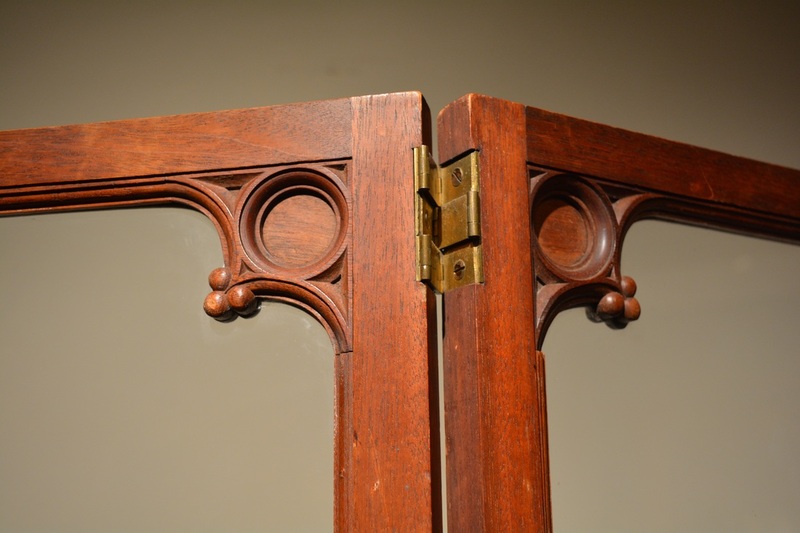 A George IV two fold mahogany screen, each fold divided into two panels. 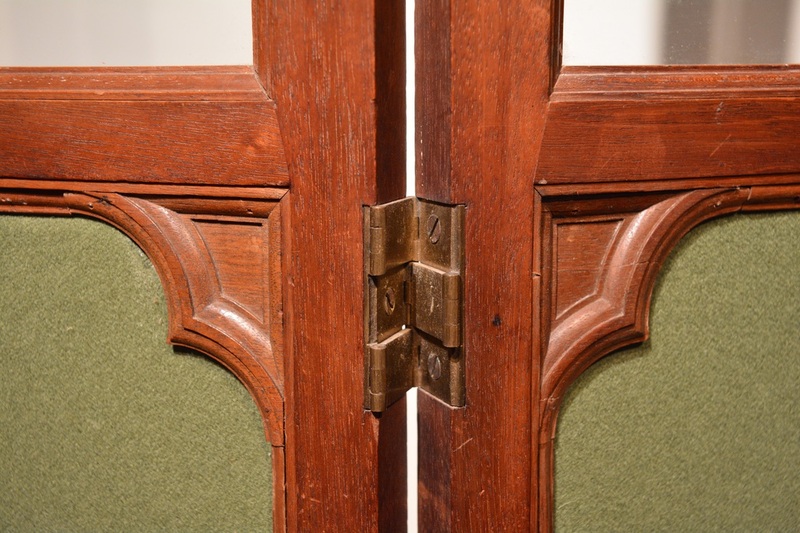 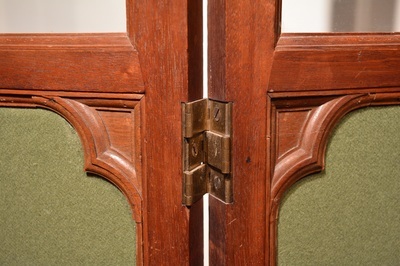 The upper glazed, the lower filled with green baize, each ornamented by carved re-entrant neo-gothic corner decoration. English Circa 1825. Height 66" Width 55" Depth 1"